Sedona Training Associates will design customized training around The Sedona Method to handle whatever challenges your organization is facing and to help you and your organization more easily achieve your goals and objectives. We can either send one of our highly qualified corporate trainers to your site or you can have your staff participate in one of our regularly scheduled public trainings. Hale Dwoskin, New York Times best-selling author, CEO and Director of Training of Sedona Training Associates, is also available for specialized trainings for your senior executives. Our seminars will show participants how to tap their natural ability to let go of any uncomfortable, unwanted or limiting emotion, thought or belief on the spot. This allows any team to easily move into a much higher level of efficiency and productivity, while increasing each team member’s sense of well-being and job satisfaction. As a participant in this program, you will free yourself to think more clearly, act more decisively, and feel calm and in control no matter what business or personal challenges you may be facing. It gives you and your team a tool to allow you to motivate yourself to make the important changes that are needed to have the business and personal life that you choose. It will show you how to let go of the habitual patterns of thought, feeling and behavior that prevent you and your staff from achieving and enjoying your goals. It frees you to have a more productive and enjoyable life by allowing you to be alert and effective each moment, even under pressure. The Control Paradigm: How to be happy, effective and stress-free, even when working under deadlines or systems that are beyond your control. De-stressing Stress: How to eliminate stress on the spot and at its root cause. This results in situations that are now the most stressful becoming less and less stressful over time. Beyond Time Management: Learn how to change your relationship to time so you can function with the inner feeling of having all the time in the world and still get things done more quickly and easily. Relationship Selling: We are all selling ourselves and our ideas in every interaction with others. This process will show participants how to go from “win-lose” to “win-win” when engaged in communicating important ideas to others. Holistic Thinking: Specific exercises that will enable participants to embrace other team members’ points of view without losing their own. These processes will enable participants to see the big picture more easily and allow themselves to have more holistic thinking when approaching new or challenging projects. Goal Mastery: How to take the stress, pressure and disappointment out of the process of setting goals while still easily achieving them. Power Relating: How to relate with more ease, self-confidence and effectiveness with yourself, your team members and everyone else at the company. Super Creativity: How to unblock and free each team member’s and the whole team’s full creative potential. To schedule a talk or training, contact us toll-free at 1-888-282-5656. In many ways our minds are very similar to computers. In fact, the model for the way computers function is based in part on how our minds function. In a computer you have hardware and software. For the sake of this analogy, the hardware is our brain and nervous system and the software is all our thoughts, feelings, memories and beliefs, as well as our basic innate intelligence. Just like with a computer, we start with our operating system: in this case, the programming for our basic body functions and the underlying intelligence that allows the system to function and accumulate knowledge. Unlike a computer, there are many more basic functions built into our operating system. In fact, all that we need to function well in life is already part of our operating system. The only exceptions being specific skills that can vary widely from playing a musical instrument all the way to performing brain surgery. As we go through life, we have experiences and accumulate data, so our resident memory gets more and more full and our processing capabilities gets more taxed. Just like with a computer, the more memory that is free and the more processing capability that is available, the faster and more efficient the computer functions. However, experiences that have a neutral emotional content—that feel complete—are highly compressed. Conversely, emotionally charged or incomplete experiences are like programs and files that are left open running in the background, so they are using much more of your available memory and processing capability. This is not always a big problem when you are younger, but as you age, there is less memory available even for your basic body functions like respiration and digestion. As a result, these systems get overloaded and start to break down. These open programs and files also take a toll on our basic ability to function effectively in life and learn new useful skills. They create mental confusion and conflict because they are often sending contradictory messages that interfere with your conscious intentions and with each other. 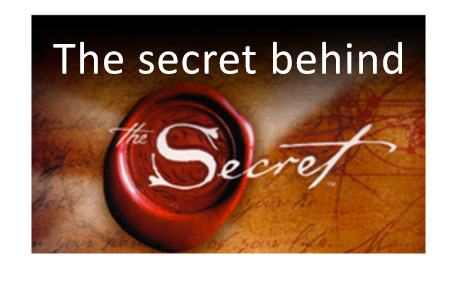 As you use The Sedona Method, you are freeing available memory and processing capability by letting go of the emotional charge that is keeping these programs and files running in the background. This enables you to keep the wisdom gained from experience without having your energy and memory drained by this emotional sense of incompletion. The more you use this process, the better your whole system functions. Most everyone is familiar with the basic Alfred Binet definition of I.Q. (intelligence quotient) and how it relates to one's ability to succeed in school and in a career. A relatively new and astounding form of intelligence was identified in 1990 and is being discussed as a potential standard form of intelligence. It is known as emotional intelligence. The Sedona Method is a powerful tool for boosting emotional intelligence both for individuals and organizations. The Sedona Method will bring all your HR programs alive. 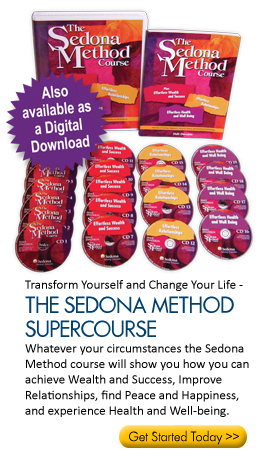 The scientifically proven Sedona Method is an elegant, easy-to-learn, do-it-yourself system that will show you and your organization how to tap your natural ability to let go of any unwanted feeling, including all associated emotions that sabotage success and wellness on the spot. It can be used in life to make powerful changes in behavior and attitude wherever and whenever they are needed. As you use the Method, you will find over time that the very situations and problems that you and your organization used to find the most disruptive will become less and less so, until you they are no longer even part of your organizations culture. To schedule a talk or training, contact us today. "Through my work with Chicken Soup for the Soul and through my Self-Esteem Seminars, I have been exposed to many self-improvement techniques and processes. This one stands head and shoulders above the rest for the ease of its use, its profound impact, and the speed with which it produces results. The Sedona Method is a vastly accelerated way of letting go of feelings like anger, frustration, jealousy, anxiety, stress, and fear, as well as many other problems even physical pain with which almost everybody struggles at one time or another." "Releasing is an invaluable tool in helping to focus my mind on the real problems in my business and removing the hindrances to effective action." -- H.S. Keefe, President, Talbot, Bird & Co., Inc.